BlogHome » Safari Blog | Adventure In The Wild Safaris » RUSHAGA REGION OF BWNDI IMPENETRABLE NATIONAL PARK. 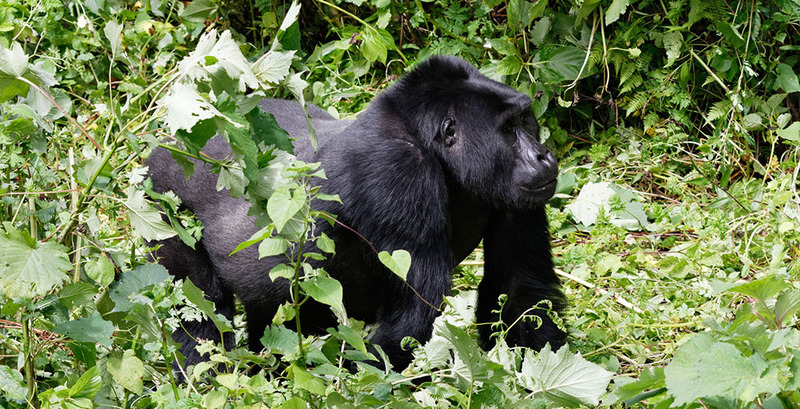 Rushaga region of Bwindi is one of the four sectors that make up Bwindi impenetrable National Park. Rushaga sector is located in the Southern part of Bwindi Impenetrable Natonal Park but in Kisoro district. Despite the fact that Bwindi Impenetrable Forest National is a habitat to about 400 Gorillas which are more than half of the endangered mountain gorillas left in the world, Rushaga region of Bwindi has the largest number of gorillas which are five gorilla families unlike other sectors which have three or less gorilla families hence availing Rushaga as one of the best regions in Bwindi for gorilla trekking and gorilla habituation experience. The Gorilla families in Rushaga include; Nshongi, Busingye, Kungye, Bweza, and Mishaya. 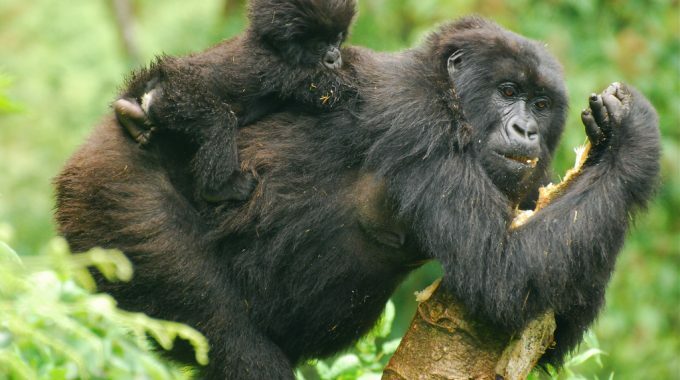 Due to the high number of habituated gorilla families in Rushaga compared to other regions of Bwindi, many gorilla permits, 40 in number per day, are sold to trek in this region as compared to other regions and they really never get out of stock, therefore clients have high chances of accessing these permits. But however, tourists are advised to book for their gorilla permits in time, at least three months before the period of trekking and you can still suggest a particular gorilla family that you would like to trek at the time your permit is issued unto you due to the fact that each gorilla family is found in a different area of Rushaga, therefore you can select a gorilla family according to your body fitness to avoid too much exhaustion since you will have to move in search of where the gorilla family is and if you want to trek more than one gorilla family, you can do so according to your choice. During your trek, you will move with your guides or the rangers because they know best how these gorillas are handled and they as well know the forest and where these gorillas are positioned at particular hours because they also move from one place to another within the forest. Each Gorilla family in Rushaga is led by a silverback which helps to determine all the gorilla movements and the daily activities within each family. 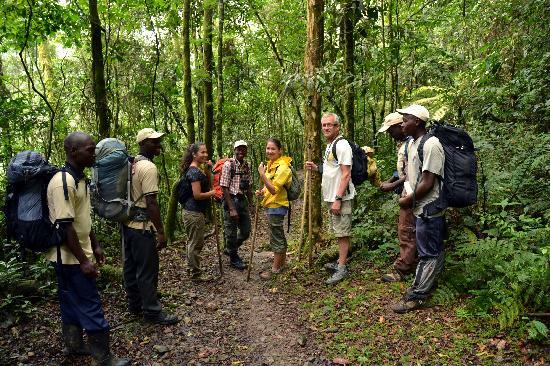 As you trek through the forest in search of the habituated gorillas, you will be able to view various bird species singing in the air within the forest, colorful butterflies, the chimpanzees, black and white colobus monkeys and other creatures as well as the beautiful sceneries within the forest. Clients should also note that only a total of eight (8) people are allowed to trek a particular gorilla family and the age limit for gorilla trekking is 15 years therefore no one below this age is allowed to trek the gorillas, even if its gorilla habituation experience. 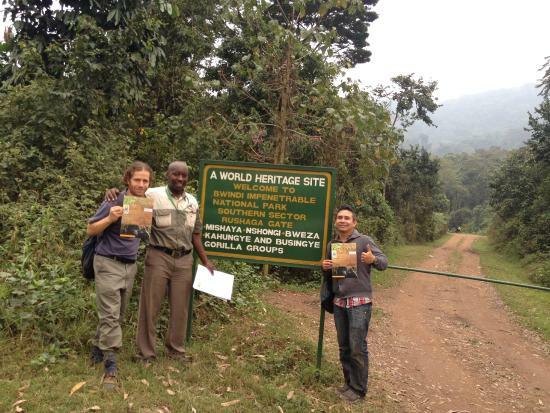 In order to go for gorilla trekking, you should have a gorilla trekking permit which can be got at a cost $600 only. Not only Gorilla trekking is carried out in Rushaga region but also Gorilla habituation experience where clients are allowed to spend four hours with the gorillas unlike gorilla trekking where clients spend only one hour interacting with the gorillas. Therefore through gorilla habituation experience, tourists really get enough time to interact and spend with the habituated gorillas, and a total of only four people are allowed to spend time with a particular gorilla family. Currently, two gorilla families are being habituated in this region which are; Bushaho and Bikyingi, in other words, they are undergoing training so that they can get used to humans. Tourists should have valid habituation experience permits before they are qualified to go for this experience. 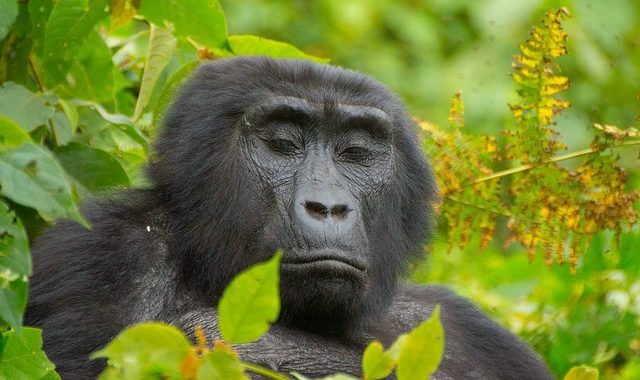 A gorilla habituation experience permit costs only $1500. Clients can get their gorilla trekking permits and gorilla habituation permits through emailing the Uganda Wildlife Authority main offices or any Tour or Safari company. Right from Kampala, you can travel through Mbarara and Kabale districts to Rushaga which is a 8-9 hour journey. You can also fly from Entebbe Airport to Kisoro Airstrip since there are always morning flights scheduled mainly for this trip to Kisoro where you can then proceed to Rushaga and it will take you 10 hours to get there. And to those travelling from Kigali in Rwanda, you can connect to Rushaga as you drive through Cyanika border which is a journey of about 3-5 hours. 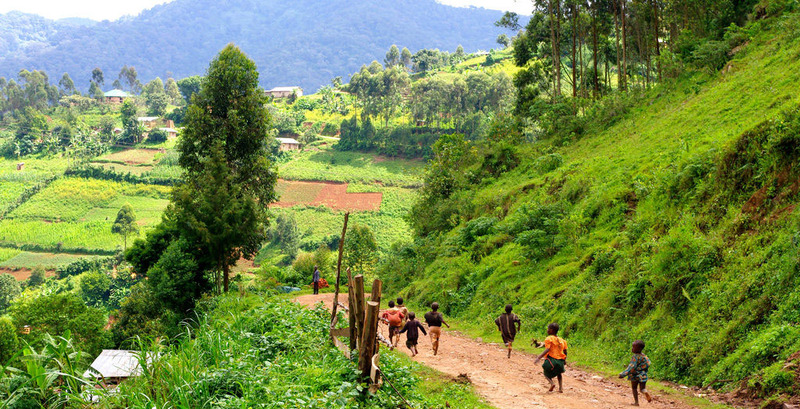 As you travel to Rushaga sector of Bwindi, you will have chances of viewing the Volcano Mountains at a far distance including Virunga, Muhavura and Gahinga. We believe that you won’t miss out seeing the beautiful scenery created by these physical features. You will also have an opportunity of viewing Lake Bunyonyi which is the deepest Crater Lake in Uganda and also the second deepest in Africa, you won’t also miss out viewing the beauty of Kisoro district which is evidenced by its topography, the hills and the valleys. Rushaga region also has various activities that are carried out which attract a number of tourists and these include; Hiking/ Nature walks through the Bwindi Impenetrable forest, Bird watching, and Mountain Biking therefore through these activities, clients are able to view the various colorful and beautiful bird species within the forest ,the butterflies, mammals like the chimpanzees, black and white colobus monkeys, the squirrels and many other amazing creatures as well as the fantastic waterfalls. Rushaga also offers cultural visits to the Batwa and Bakiga communities where you will be able to encounter with various cultural activities in these communities such as the amazing cultural performances in songs and dances which depict their past life in the forest, meeting the blacksmiths and the traditional healer who treats the sick using the herbal medicine extracted from plants. You will also see craft making using hands where various craft materials are made such as baskets, sandals, bags, huts, mats and many others as a result of the talents of the men and women in these communities. To clients who would like to visit the village primary schools, you may do so according to your choice.